At the end of the day on December 25th, Christmas decorations are quickly taken down and replaced with New Year decorations all across Japan. 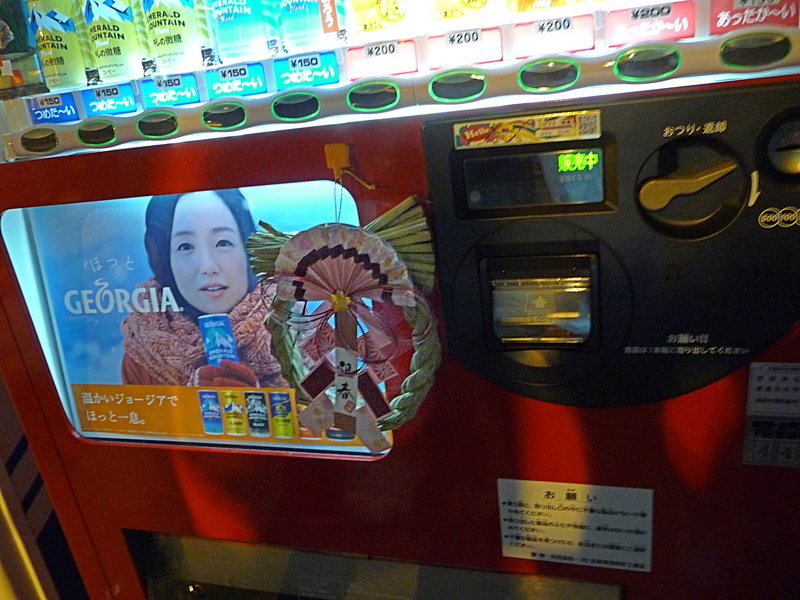 I saw this firsthand last year when my husband and I went to view Winter Illuminations on the 25th. When we left our local train station to head downtown, the store windows displayed Christmas trees and Santas but by the time we got back just a few hours later, the Christmas displays were gone and New Year decorations had taken their place! 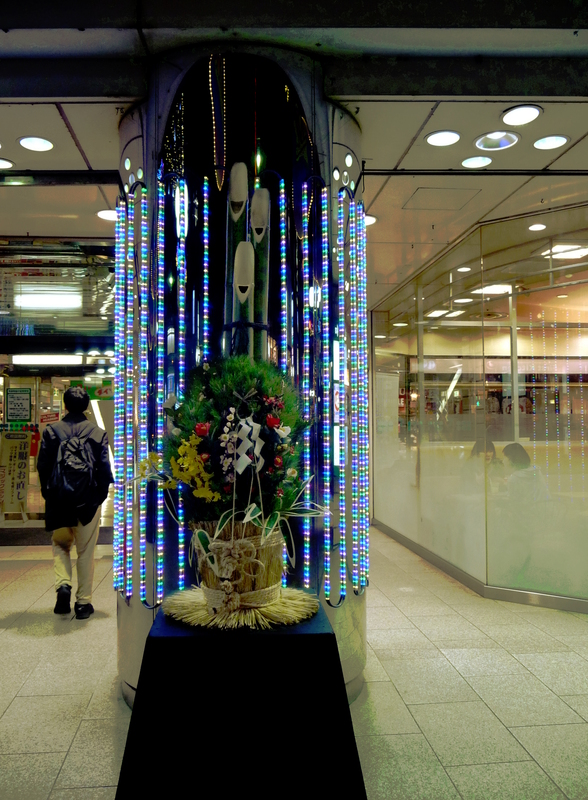 The transition felt rather abrupt to me but then when I considered that the New Year holiday is really the largest holiday in Japan, it’s somewhat more of a surprise that these decorations aren’t seen sooner. Generally though, they are displayed from December 26th through January 7th. 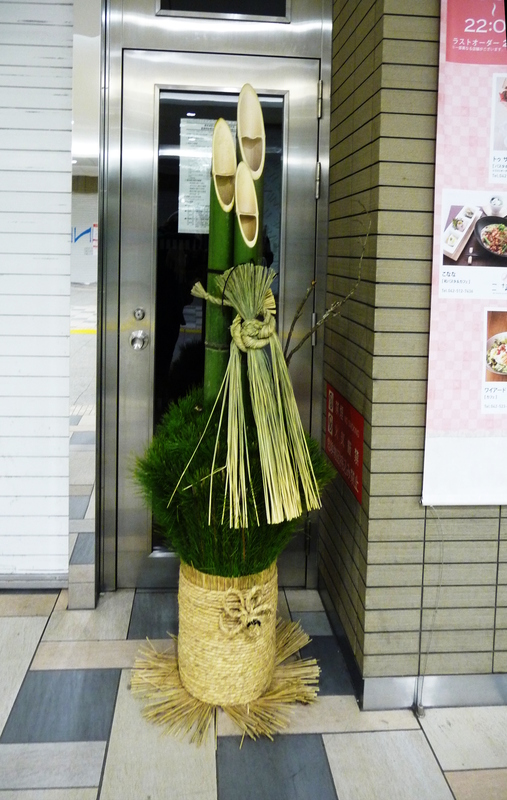 The kadomatsu (門松, “gate pine”) is one type of traditional Japanese New Year decoration placed in pairs (representing male and female) in front of homes and businesses. Kadomatsu are usually made of pine to represent longevity and bamboo to represent prosperity but other materials are sometimes included to add a little local flavor. The form of the kadomatsu is the same everywhere with three large bamboo shoots of varying heights placed in the center and the pine and other materials bound around them with straw mat and rope. The bamboo shoots from tallest to shortest represent heaven, humanity, and earth. 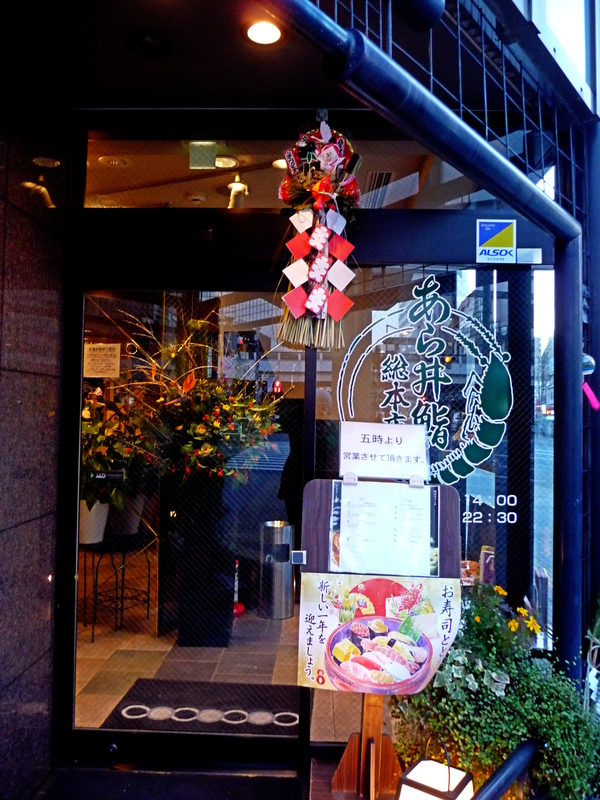 The purpose of these decorations is to welcome ancestral spirits and Shinto deities for the New Year. The kadomatsu is considered temporary housing for the spirits and by honoring and receiving them in this way, it is thought they will bring a bountiful harvest and blessings for all. Now that the 7th has passed, the New Year decorations have been taken down and I find that I miss them. Walking along and seeing these decorations always gave me the feeling that I was seeing a tangible form of hope and cheer for the new year. But I may have one last chance to see them before they are gone for good. Around January 15th, local shrines hold ceremonies where New Year decorations are gathered and burned in order to appease the residing spirits and release them. I think it’s time I check the local paper.